Over the last 12 months the price of cork granules (and as a result cork blocks and sheets) has risen steeply and shows no sign of letting up in 2018. The reason is very clear: there has been a massive investment by the largest players in the cork stopper sector in moulding machines, which produce agglomerated cork stoppers from moulds (whereas in the past they were produced by extrusion). Moulded agglomerated cork stoppers are significantly stronger than the extruded version and can be made to greater precision, which has made them popular with bottlers, but the demand has been so high, that there is now a shortage of granules. This has been a slow-moving car crash for the cork industry, in the sense that cork stopper producers have seen their customers migrate from premium natural corks to the much less expensive agglomerated corks and rather than fight this tendency, the cork industry has just invested more into moulded machinery and enabled it. 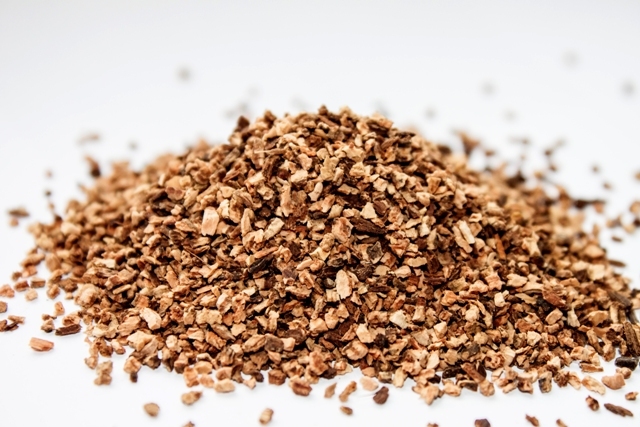 An agglomerated cork might cost a third of the price of a decent quality natural cork, so in part you can understand the attraction for bottlers. The tragedy is twofold: first that a 100% natural product is being replaced with a product that is 40% glue and second that the value in the cork stopper industry is being sucked out. Here you can see the difference between extruded agglomerated, moulded agglomerated and natural cork. Cork should be a premium product, not aiming to compete with synthetic closures; but because of the threat of screw caps in particular, the cork industry has tried to go head to head with synthetics by making a cheaper cork closure. In so many areas of industry the world is crying out for natural products and many consumers are prepared to pay a premium for natural over synthetic. A wine producer will make an enormous effort to market the natural qualities of the grapes they use and the timeless production techniques that they use, yet they are increasingly prepared to crown their product with a synthetic (or in the case of agglomerated cork) a semi-synthetic closure. It would be wonderful if consumers could be educated to understand the difference between a natural cork and synthetic or semi-synthetic closures, because for sure most of them would be prepared to pay a few cents extra to have a natural cork. Natural cork is a 100% good news story, in that it is totally sustainable (cork trees are not harmed when the bark is removed to make the corks from) and it is the best way to seal a bottle of wine in terms of physical properties. If this tendency is not reversed, then cork granule prices will continue to increase, which will have ramifications in various sectors of the cork industry: our industry needs to wake up and teach the world about how wonderful natural cork is.